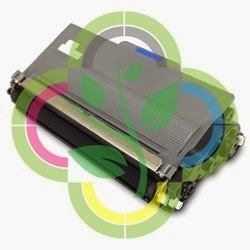 Replacing Brother TN750 Toner Cartridge in Brother MFC-8510DN | TonerGreen - Eco-Friendly Toners from the U.S. 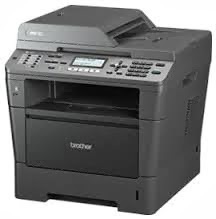 Brother MFC-8510DN is a fast laser all-in-one digital monochrome printer that boasts of its duplex printing features and networking capabilities to provide desktop and busy offices with a reliable and versatile printing device. It delivers fast printing and copying speed of up to 38 pages per minute, color scanning and faxing into one compact design. It also has a flexible connectivity which lets you print, scan or PC Fax over your Ethernet network or connect locally via its Hi-Speed USB 2.0 interface. As an Energy Star qualified product, the Brother MFC-8510DN offers cost-saving and eco-friendly features including its automatic duplex printing which print professional two-sided documents and booklets. It can also create two-sided output from one-sided originals when copying and faxing. This feature can help save you money and reduce your paper use by up to 50%. And it offers users with cost-saving performance thanks to its high-yield 8,000-page toner cartridge, the Brother TN-750 Toner Cartridge, which is available to help lower your operating costs. And for today’s article, we’re going to give you the basic procedures on how to replace your printer consumable with the Brother TN-750 Toner Cartridge. The following procedures are from Brother Solutions Center. Before starting to replace your Brother toner cartridge, make sure you leave the machine turned on for 10 minutes for the internal fan to cool the extremely hot parts inside the machine to avoid being burned by the fuser. Step 1 - Press the front cover release button and then open the front cover. Step 2 - Take out the drum unit and toner cartridge assembly. Step 3 - Push down the green lock lever and take the toner cartridge out of the drum unit. Step 4 - Unpack the new toner cartridge. Hold the cartridge level with both hands and gently shake it from side to side several times to spread the toner evenly inside the cartridge. Step 5 - Pull off the protective cover. Step 6 - Put the new toner cartridge firmly into the drum unit until you hear it lock into place. If you put it in properly, the green lock lever will lift automatically. Step 7 - Clean the primary corona wire inside the drum unit by gently sliding the green tab from left to right and right to left several times. Step 8 - Put the drum unit and toner cartridge assembly back into the machine. Step 9 - Close the front cover of the machine. Looking for replacement Brother TN-750Toner Cartridge? TonerGreen offers Compatible High Yield Brother TN-750 Black Toner Cartridge which is professionally remanufactured by our expert technicians to guarantee that they will deliver the same printing performance and page yield as their OEM counterparts.